The house of Slytherin certainly has a dark and slippery reputation within the School of Hogwarts, and rightly so! Founded by Salazar Slytherin, the house mostly consists of muggle hating 'pure-bloods'. But aside from being cunning little blighters, the students of Slytherin are an ambitious bunch. 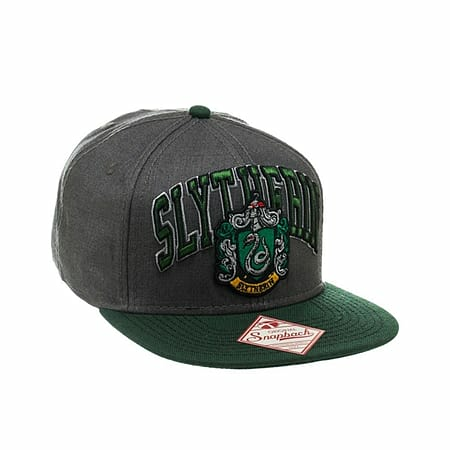 If you too are ambitious and dare we say a little 'dark' then you'll appreciate what we have on offer - Enter the Slytherin Snapback! (We'd like to say that in Parseltongue but translators are hard to come by). 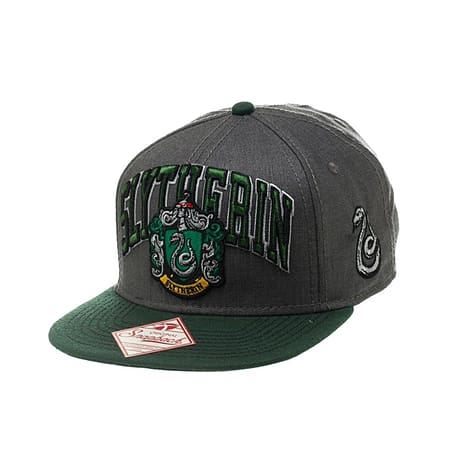 This officially licensed Harry Potter House Crest Snapback has a sleek and slippery looking Slytherin design, in green and grey. 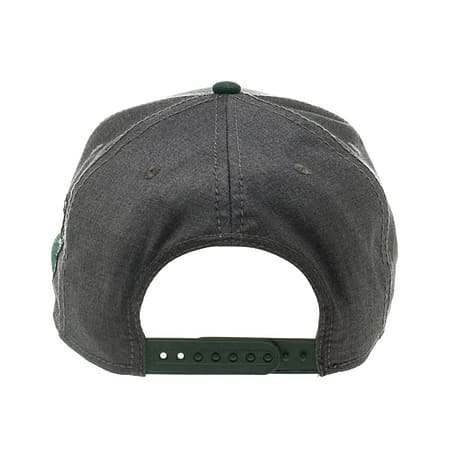 There is embroidered detailing on the front and there are air holes, plus adjustable band for comfort and fit. So go on, grab yourself one and get practicing your Parseltongue today!